Born in New York, Terri McGrath Bhatt has always loved words and believes in the power of a good story. That's why we are thrilled she placed as a runner up in our Summer 2012 Flash Fiction Contest with her story, "Evaporate," which you can read here. Currently, Terri lives in Connecticut with her husband, who is her greatest teacher; her 14-year-old daughter, who reminds and inspires her to be true to her gifts; her beloved, clever dog; and a spiteful, exasperating cat. She holds a BA in media communications with a concentration in writing and journalism from Western CT State University. 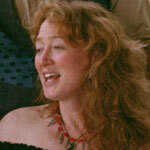 In addition to short stories, poetry, and song lyrics, Terri is presently working on a screenplay. WOW: Congratulations on your story, "Evaporate," being a runner up in the flash fiction contest. It's a sad tale, but very powerful! Where did you get the idea for your story? Terri: Thank you so much! I have to say this character just kind of "showed up" for me. I had recently seen a group of children on a playground and noticed that a few of the more overweight children were struggling to keep up with their friends. They appeared to get winded easily and would simply quit running. One child gave up altogether and sat on a bench while the rest of the children continued to play without him. He didn't look particularly sad, and no one picked on him; but something about it broke my heart. I felt that the adults in his life owed him better. I was frustrated wondering what physical, emotional, and social issues he might one day face as a result of being so unhealthy at such a young age. WOW: Thank you for sharing that with us. Was it hard to pack all that emotion, anxiety, and angst into 750 words or less? Terri: With a 750-word requirement, I had to show a snapshot of this character's day that would tell the tale of her life beyond the school bus. While not everyone has experienced bullying or this degree of self-loathing, I think her feelings of self-consciousness, isolation, and of wanting human connection-- all while feeling invisible-- are pretty universal, especially for adolescents and teens. WOW: How do you develop a well-rounded character for a short fiction piece--it's definitely easier in a novel--but just as important in a short story? Terri: In a short story, I think characters have to reveal themselves rather quickly if the piece is to be compelling. I wanted to paint a character for whom the reader not only feels compassion, but empathy. She is in a predicament on the bus and has feelings that I think most of us can relate to, even if we aren't asthmatic, morbidly obese, teenaged girls. WOW: I agree, especially in a flash fiction piece. 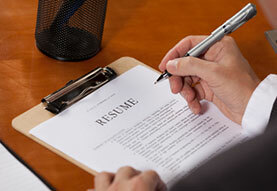 You have a BA in media communications with an emphasis in writing and journalism. Has this degree helped you with your writing career? In what ways? Terri: Well, my undergrad years feel like a lifetime ago, so I can't say with any certainty how well my degree has contributed to my writing ability at this point. I worked for a book publishing company for a number of years, strangely enough in a marketing capacity; but until recently, my writing has mostly been for me. WOW: You are also working on a screenplay? 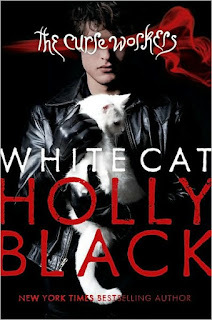 What type of piece is this--action, adventure, chick flick, mystery? Terri: The screenplay is a glimpse of New York City from the 1930s to the 1950s through the eyes and numerous incredible experiences of my father. It was a really colorful time in the city, and Dad had a fascinating life working for many of those years at Grand Central Station. When people have heard his stories, they would say, "That should be a movie." And it should. So, this is my labor of love, dedicated to him. WOW: It sounds fascinating. Since it's the new year, what are your writing goals this year? Terri: First and foremost, to become a working, paid writer! Also, to complete and successfully market my screenplay. It has been really exciting to go through the process of this contest and to have actually placed as a runner up was very gratifying. Thanks to my sister-in-law for encouraging me to do this and thanks to the WOW team! It has been a wonderful experience. WOW: We are glad we could help in some way! Thank you, Terri, for your time and best of luck to you! Yesterday I tripped over my guilt, chewed an oversized bite, hung onto to that one remaining thread and acted as though I have life balanced. I’m subjected to these emotional olympics because I’m due to give birth to a book. Presently, it has been gestating for twenty-two months. Total gestation period is unknown. Lately, I’ve begun to notice the signs of labor. Several times I’ve experienced Braxton Hicks, but alas each time the end result has been a prescription for rest and a rewrite. Fulfilling that prescription is tricky. Book is not an only child; I’m already raising Kid, Career and Personal Health ( P.H. for short), thus the daily acrobatics. I don’t have a birth plan yet. Book might be born using a literary agent or in a publishing house. I’m leaving my options open for right now. I know I need one soon; my chapters are dilated and my denouement has dropped. Soon I expect there will be a bloody show... and what a show it might be. Am I ready? Is anyone ever really ready? Just like so many others, I don’t really care whether I have a chapter book or middle grade novel. I just want a published finished product. I want for it what every writer wants for a book; a long shelf life, genre acceptance and readership. It would be dishonest for me to deny my hope for a second edition and maybe even some royalty monies... it’s not such a bad thing to wish to be taken care of in my later years, is it? There will be a birth announcement. Watch for it. Peggy Eserkaln is an award winning teacher with a unique background in education and improvisational theatre. 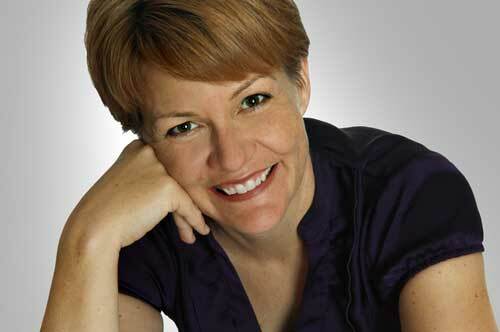 She founded Educational Improvisation, Inc; a company that melds a love of learning and laughter. She's been writing her whole life, but is just now gutsy enough to admit it. If you haven't heard of the creative site, BlogNostics, for writers and artists yet, then you are in for a real treat today. BlogNostics is one of a kind, and we have Jessica Brant with us today to tell all about it, what you can do there, and the contests they are now offering. I won't waste any more of your time with a boring intro because Jessica has a lot to tell us! WOW: Welcome, Jessica, to The Muffin. On the "About" page for BlogNostics, it states, "BlogNostics is for readers, writers, artists, and followers to get together, share, be supportive, and have some fun creating excellence." So, is this a membership site? Tell us a little more, including your role with BlogNostics. Jessica: We want our readers, writers, and artists to feel like they are in a community, where they can socialize, making it feel like a growing art commune. As for membership--no, you don't have to have a membership, though it is best to sign up, otherwise it is like cheating yourself if you don't. What I mean by that is that you won't get the full exposure needed to get your work out there if that is what you so desire. As for me, I am the mom of the house, supporting where I can to show off these amazing and talented people that arrive, attempting to help everyone grow with the site. I see so much unsung talent out there. Just like a proud mother, I want to see our artists create their dreams. Jessica: Creating an account on BlogNostics is completely free and fairly easy to do. I think the easiest, most effective and painless way is by signing up and then login in using one of the social media platforms, such as Facebook, Twitter, or Linkedin. If you do not subscribe to signing up via social media, that's okay; it is just as easy to create your own account with your name, personal e-mail, username, and password. There is a lot to do, see, and read on BlogNostics. Once you step into our little world of creativity, we have a vast array of contemporary artists and writers from around the world who contribute their works of passion to BlogNostics. We recently added a Poetry Corner, where Willow, our Poetry Aficionado, divulges how to write poetry and prose, in addition to lending guidance to writers that are new to poetry and just need some helpful hints or just a sounding board. WOW: It sounds great--the free aspect and the support and creativity going on there! Another thing advertised on your home page is Lines Vol. 1. Tell us all about Lines! Jessica: Lines is our first digital publication and truly a labor of love. We were kicking around the idea of getting into the digital publishing arena for a while but kept putting it on the back burner. We were catapulted into taking action after the sudden untimely death of one of our most beloved poets, Sancheeta Biswas, who passed away on April 6, 2012, leaving behind her young daughter Tua. As a hamlet of talented up and coming contemporary writers, BlogNostics made a call to action to some of our members. Our poets, Lisa Brandel, Neil Chatterton, Ron Reed, Willow, and my father Mickey Munday were saddened by Sancheeta's story and collectively decided to dedicate Lines to the loving memory of Sancheeta. Part of the proceeds from the sale of Lines is going into an educational fund for Sancheeta's daughter Tua (age 9). We went on a frantic search to find a platform that would deliver more than just the run of the mill, static, black and white e-book. 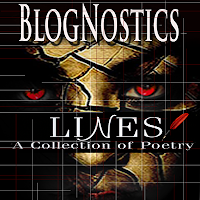 We found a platform that complemented our writers' words with the ascetics that BlogNostics is known for. Lines the publication is an interactive collection of twenty-five poems, stunning graphics from today's most talented photographers and digital artists. The majority of the poetry has been digitally recorded by the artists themselves. making Lines accessible to those who are visually impaired or for those who would simply like to sit back, relax, listen, and enjoy. We were lucky enough to have world renowned, Emmy award-winning producer Carlos Alverez help us with the audio production of Lines. We have included seven spoken-word videos, clickable links, and more. It is truly a revolutionary way to read, listen to, and watch today's most talented, modern day poets. It really is a stunning work of art for the digital world. For now, Lines is available on Amazon for the Kindle Fire as well as Android systems. WOW: What a beautiful idea to honor a writer's life and her daughter. It sounds amazing! You are offering some contests, which writers can submit to before April 10. What are the categories that you are looking for in this contest? Do you need to be a member of the site to enter the contest? Jessica: First off let me say, we are so excited to offer our first writing contest, and we are honored that we have an esteemed panel of enthusiastic judges. We have four categories that writers can participate and they are in: Fiction, Nonfiction, Poetry, and Prose. Within the category of fiction, we seek the work to have: a strong character, authentic voice, originality, boldness of form, pushing the boundaries of contemporary fiction. The bn~Expressions in Fiction will be judged by Ray Garton who is the author of over sixty novels, novellas, short story collections, movie novelizations, and TV tie-ins. His work spans the genres of horror, crime, and suspense. Fiction has a limit of 10,000 words. In Nonfiction, we seek from all works: an authentic voice, originality, boldness of form, pushing the boundaries of contemporary nonfiction, good story telling in things that sound authentic and speak to the human condition or the world. Judged by Lisa Brandel who is known best from her successful blog the WidowLady. She began telling her story only weeks after her husband died and had only posted three times before her father died. Through the pain of losing her father, and then aunt, paternal grandmother, another aunt, and finally her uncle to suicide, she has continued to write not only her story, but also ideas and philosophies about how to make life happen against the odds. She also has a daily inspiration on her “Widow Lady” Facebook page and is currently in the process of editing three books for publication, the first to be published is Every Day Inspiration expected to be released in mid-2013. She is making it her life’s work to inspire people through words and images. Nonfiction has a 9,000-word limit. bn~LINES in Poetry, seeks from all works: an authentic voice, originality, boldness of form, pushing the boundaries of contemporary poetry. Judged by Lana Hechtman Ayer who works as a poetry manuscript consultant and writing workshop facilitator. 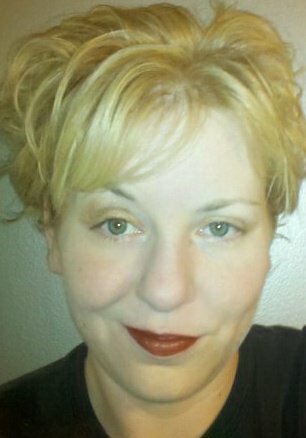 She runs two chapbook presses, Concrete Wolf and MoonPath Press, and is an editorial consultant at the literary journal Crab Creek Reviews. Lana is the author of two chapbooks and three full-length poetry collections. Her most recent collection, A New Red (Pecan Grove Press), is a contemporary re-imagining of the Red Riding Hood fairy tale. Lana’s latest work “The Ugly Pregnant Woman,” which is currently in the California Quarterly, has been nominated for a Pushcart Prize. Poetry has no word limit. 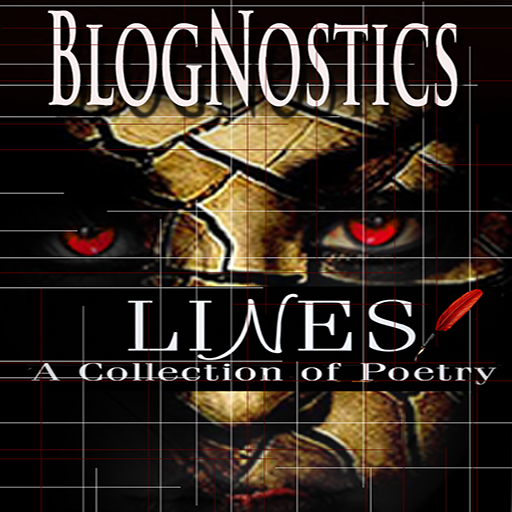 bn~LINES in Prose, judged by Pamela Rossow who is the co-author of Mind Over Body. 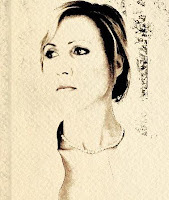 Pamela writes for a variety of genres including, business, journalism, and higher education. She is an established blogger and is committed to integrity and excellence in her writing. 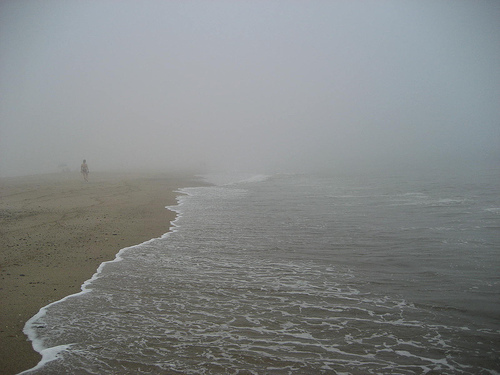 Pamela’s poem, "Nothing Good About Good-Bye," was published in the 2010 issue of Coastlines Literary Magazine. The word limit for Prose is 3500-words. To enter the contests, being a member of BlogNostics is not a requirement, but it is suggested. We would like for those who participate to register first with us on the site. We are a community of artists and writers with a common goal in mind; becoming a member is a way to stay informed about up and coming events on BlogNostics. It is also required in order to have any works published on the site as well as in future publications. WOW: The judges are wonderful. What a panel! Thanks for explaining the entire contest to us! What are a couple tips you can give writers to help them be successful in your contest? Jessica: Whatever you write… be authentic to your own voice. Don't try to be anyone but you. I think the general feeling by the judges is they want strong characters and the ability to push the boundaries of contemporary literature. WOW: Next let's discuss your various "rooms" and poetry events. 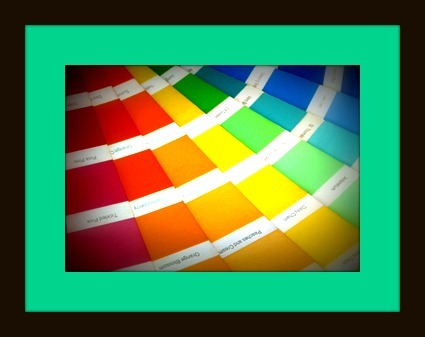 It looks like you have a "room" for Beat Poets, Artists, Haiku, and Color Poetry. How does a writer visit and take part in a room? Jessica: I'm smiling from ear to ear at the moment. Yes, we have "rooms," but we like to call them our bn~BeatRoom, bn~Lounges, and bn~Galleries. Let me start off by saying the General bn~BeatRoom, bn~Galleries, Haiku, and Colour Concatenation are completely free areas of creativity and by that I mean anyone who is registered on BlogNostics can submit their works to those individual "rooms," although we had to put a limit on the amount of submissions we accept to the General BeatRoom. We put a cap of three poems (prose, pieces) to be submitted for publication in the General BeatRoom. There are many reasons for this--the number one reason is that often times we have a single artist submitting four to six poetic pieces, and the General BeatRoom then tends to look as if it has been taken over by one person. 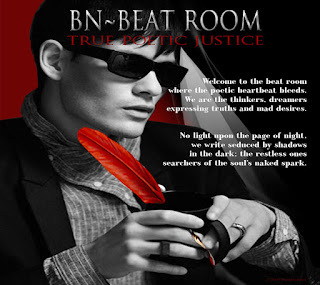 We listened to our members who suggested we start individual areas for those writers wishing to submit more than three pieces; and so the Personalized BeatRooms were created for those writers dedicated to their love of writing, where they can shine as bright as they want and get just a bit more personalized attention that does not take away from the other writers. These personalized "rooms" also take a lot time for our "Elves" to design, making sure the writers' personal bio, website, social media information is on their personal page (room)--also frantically finding artwork for each poetic piece. As you can imagine, this is all very time consuming, so we find many of our Elves have coffee intravenously served, saves on washing up I suppose. Our editors also take time out to make sure each piece is up to par; and if it looks like the writer needs some assistance editing, our editors are there to help them out. Visiting the individual areas on the site is easy as a click of a button, and voila--you are there. Now that we have these Personalized bn~BeatRooms, it has given a few of our poets an incentive to step beyond publishing a few of their works in our General BeatRoom and thereby have made the choice to upgrade to the personalized BeatRoom or Beat Lounges, where a vast collection of poetry and prose from some of today's most talented contemporary writers are housed. There is a small fee involved for those members who wish to have their own Personalized BeatRooms and Beat Lounges--as mentioned, the Elves need feeding. The bn~Arts Gallery is the same, where we showcase photographers, digital artists, and illustrators. WOW: I just love this idea. How creative! I can't wait to go to BlogNostics and check out some of these rooms! What are Word Scrambles? How about Montages? Can anyone do these? Jessica: We have fun impromptus to get writers and those of poetic aptitude to get their creative juices flowing. We were sitting around one day trying to figure out how to get people more engaged on BlogNostics, so we came up with the idea of doing a Word Scramble. It is where we at BlogNostics brain storm and choose twenty-three words of which you the writer has to make something poetically amazing for us to read. It really is just a quick, fun, little thing to get us as writers unstuck. Montages are the same, but done with images in which the writer again can create what he or she sees within the images and tell us a poetic story. It seems the Montage tends to be a bit more controversial than the Word Scramble because everyone sees something completely different within an image. WOW: Sounds interesting. Yes, we try all sorts of things to get people more interactive on our Facebook page. Now, I'm brainstorming thanks to you! How does someone become the featured BN poet? Jessica: Hummmm, Good question! We take a look at the body of work. It's not about the number of hits your poem gets, or how supportive you are towards other people on BlogNostics, it is simply based on the quality of work a poet has submitted. Does it capture the reader's attention? Does it evoke emotion? These are some of the questions we ask as we look for our featured poets. WOW: Anything else you'd like to add about your site that we haven't covered? Jessica:What we really want to be and where we see ourselves going in the future is seeing our members becoming the next generation of celebrated artists, the voices of their generation. It's a lofty goal; but with all the unknown talent we are gathering, I think it is ivery reasonable for Blognostics to obtain this goal. It is refreshing to find such creative and supportive people all in one place, working for a common goal both individually as well as collectively as a community of artists. WOW: Thank you so much for sharing your creative and wonderful site for writers with us today! Readers to find Blognostics on Facebook, go to: http://www.facebook.com/BlogNostics. D.K. McCutchen MFA’d at UMass Amherst back in the Pleistocene. Lack of poetic-DNA led to a creative nonfiction tale of low adventure and high science in the South Pacific titled The Whale Road, which earned a Pushcart nomination & listed as a Kiriyama Prize Notable Book. Other literary thingies followed in Fourth Genre, Hayden’s Ferry Review, Identity Theory, Santa Fe Writers Project and others, as well as several Fish International short story anthologies. Resorting to flash fiction for that astonishing feeling of immediate gratification, her longer works-in-progress include a gender-bender post-apocalyptic novel titled Jellyfish (finalist for a 2012 Massachusetts Cultural Council grant), and its prequel Ice. Meanwhile she keeps her day-job, teaching writing to young science-heads from UMass' College of Natural Sciences, where she is managing editor for CNS student writing at IRL: Points of View in the Natural Sciences. She also cheers from her comfortable armchair for her family’s biocultural diversity research expedition Berkshire Sweet Gold Maple & Marine, which she is quite sure will end up as grist for her story mill. Visit her blog at: D.K.McCutchen: BooksArticlesReviews. WOW: Congratulations on placing in the top ten in our Summer 2012 writing contest! What prompted you to enter the contest? D.K. 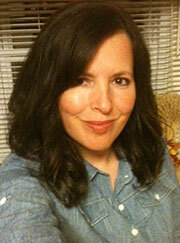 : I teach writing full-time and am a parent of two young storytellers. I have noticed that I send out shorter and shorter stories and essays each year – I even published my first poem last year. I am finishing a novel -- and started another over last summer -- but the time to write is often found in smaller and smaller increments. In fall and winter, I compose in my head during my afternoon commute (never the morning commute, then I have to think about my class lesson plans). Then, when I do get a chance, I have something specific in mind, which is often begging to be written. Flash fiction, in that context, is very satisfying. It is something I can keep in my head, mulling over, for years if I need to. That may sound odd, but some stories do hang around that long before they make it to the page – at least in a final draft. I entered the contest because I want to be an active writer contributing to the body of published work (or contributing to the ethereal internet cloud), and because this was a form in which I could write quickly (albeit from an old, unwritten story), edit intensively, and be finished with before the semester started. I chose Women on Writing because I am a feminist to the core and I liked the idea. It sounds so very Virginia Woolf. WOW: We'll take that last part as a compliment! What inspired you to write this particular story? D.K. : This was one of those old stories, one that has hung-about in my imagination since my undergrad days. When I want a Flash Fiction story, I often dig around in my oral-storytelling luggage and consider which tall-tales might be told briefly without losing their punch. Then I test one out on paper and see what happens. I think since I’d told this one verbally and since I’d been thinking about first impressions of old friends, it jumped to the forefront and – irritating as it may sound – pretty much wrote itself – with a little help from me. WOW: You’ve written fiction and nonfiction in various forms and lengths. Do you find one more challenging than the others? Are you drawn to one form more than the others? D.K. : Flash Fiction is just pure fun really. I enjoy it a lot – when it works. The ones that don’t come together can be a bit of a let-down of course. But then one can move on, or just keep editing. Poetry is something I struggle with, though I’ve written it since childhood. I write it, but the Yankee in me wants everything to have a purpose, and I never even thought of publishing my poems (except that once, and it was a festschrift to a respected professor) so perhaps the form lacks that motivational drive for me. The novel I just finished (provisionally, I’ll probably revise it again), was also just pure fun. It got so stuck in my imagination that it became my daydream material, so every zoned-out moment became a composition opportunity. My biggest challenge was that, since I was writing it in such brief moments, it has a kind of snap-shot quality (not unlike Flash Fiction), that I struggled to make organic to the story. My first published book, WHALE ROAD, was nonfiction, mostly written at sea in waterproof notebooks. The big challenge there was also in revision, pulling everything together, once I was in my comfortable armchair at home, without losing those horribly uncomfortable yet dynamic moments on the water. At some point during my graduate studies editing became as creative a process as initial composition. That has probably helped a lot in shifting genres. I'm a big fan of creative nonfiction. 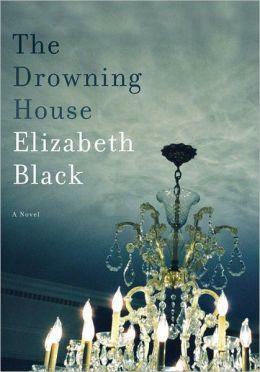 Overall I may be most drawn to fiction while being a bit more facile with nonfiction, perhaps? Ask me again after I get the novel published! WOW: Do come back and tell us when the novel is done. What are some of the challenges and highlights of writing flash fiction? D.K. : Challenges … choosing the right story to fit the length, perhaps, and then editing so that every word counts. I spend an inordinate amount of time editing Flash Fiction. Far more than I can on any three paragraphs of my novel (so far). I have certainly written some FF (mostly about my kids) which fell flat for a general audience. They were just photos of moments that were memorable for me, and might have been appealing to other parents, but not really for a wider readership. Sometimes I try to edit-down a much longer story into a Flash Fiction format, and that can also lose enough cohesion that it just doesn’t work. In general, I think FF is best for me as a new epiphany about an oft-told story, written in one sitting, with the bulk of the time spent on editing -- but not trying to find the short story in the longer piece, if that makes sense. WOW: With a full time job and other responsibilities, how do make time to write? Do you have favorite tools or habits that get you going? D.K. : “Productive procrastination” is my favorite. That means, when I have something I really have to do but don’t want to, like grading, I write instead. Don’t tell my students! WOW: Writing does seem so much more appealing when there are other tasks that need attention. Thanks so much for chatting with us today, D.K.! Before you go, do you have any advice for beginning flash fiction writers? D.K. : WRITE! “Words words words,” as Hamlet said. Or, as numerous writers from Red Smith to Hemmingway have been quoted as saying: “There’s nothing to writing, you just open up a vein…” It’s your choice whether to visualize that vein as producing blood or gold. Sola Olu, author of The Summer Called Angel, launches her blog tour! How long could you have faith? Believe in the impossible? Rely on the strength of the smallest person you have ever met? In the memoir The Summer Called Angel, Sola Olu tells of her family’s refusal to accept the possibility that their premature daughter would not defeat the odds. The Summer Called Angel is a memoir about survival: survival of a premature baby, survival of a brand new family, survival of love, and survival of faith. This memoir is both frightening and inspiring. You’ll find yourself cheering on this family fighting for the life they dreamed of and wondering where they find their strength. This book also includes a few welcome additions such as poems and resources for other families of premature infants. The Summer Called Angel: A Story of Hope on the Journey through Prematurity, is available as a print and e-book at Amazon.com, as well as your local independent bookstore. Book Giveaway Contest: To win a copy of The Summer Called Angel, please enter using the Rafflecopter form at the bottom of this post. The giveaway contest closes this Friday, January 25 at 12:00 AM EST. We will announce the winner the same day in the Rafflecopter widget. Good luck! Sola Olu was born and raised in Nigeria. As a child, she loved making up stories and as soon as she could write she started putting them down on paper. She holds degrees in English and Information Systems, Sola works in the retail industry and volunteers as a counselor to mothers of premature babies. Her writings include essays, poetry and children's stories. She loves to cook, travel and attend the theater. She lives in Illinois with her husband and two children. WOW: What type of writing had you done before you began work on The Summer Called Angel? Sola: Just a lot of half projects on my computer, essays, unpublished romance manuscripts, children's stories, and a blog that I abandoned but have this year restarted: http://solamusings.blogspot.com/. The Summer Called Angel took me eight years to write because I was working, had two kids and took time to take care of myself. WOW: It's good you took time to take care of yourself! It's something all of us need to do. So, do you have any memoir writers you enjoy? Sola: I like Sue Silverman and enjoyed her guide to memoir writing, Fearless Confessions: A Writer's Guide to Memoir, as I edited mine. WOW: We love Sue William Silverman! She actually did a blog tour with WOW for Fearless Confessions. It's such a great guide, and I'm so glad you used it for your book! How did The Summer Called Angel come into being? Did it begin as something written during your experience of dealing with your daughter's premature birth as a personal exercise . . . a journal, letters, a blog? Or was it something you wrote after the fact, looking back on your experiences? Sola: A little bit of both. It began as a journal. During my daughter's hospital stay, it began as a "mummy was here today . . ." kind of journal entry, just to have something to remember that time; but as her hospital stay became longer, it became more difficult and I actually stopped for a long time until she came home. Of course, with her home and with all then therapies, I again stopped for a while, then wrote from recollection; and then I had my second child, and I'm like now the story takes a different turn. Eventually, I requested her medical notes to ensure that I had the right sequence of events and to add to how I felt as well as validate the medical issues we had to deal with. WOW: I found your book incredibly emotional, as it brought back some of my own experiences with premature labor. Was it difficult reliving your family's experiences? Sola: Oh sorry to hear about that. It was difficult. And it's funny you bring that up because I had a family member tell me to "move on." For a long time I was very emotional, even though she was fine; I would remember some painful episodes and tear up, but writing helped me through. I guess that was why there were so many stops—you have to be ready to write about what you went through, and then the healing comes with that. Ultimately, the story ends well. I decided to put everything out there because when I was going through those emotions of dealing with a sick child, I wondered if those feelings were valid or maybe I was just weak. But in speaking to other parents through the volunteer program I joined after my daughter came home, I realized other parents have those feelings too; and by putting it out there, I'm saying, "It's OK to cry. It's OK to heal in your own way." And I also say I am in no way diminishing the fact that there are so many stories out there that don't have a happy ending and I can't imagine how people cope when they have to deal with that. WOW: What made you decide to publish your experiences as a book? Sola: It's funny—I have always dreamt of being an author. I wrote two young adult romance novels when I was a teenager. When my premature birth happened, I didn't think, Oh here's a book . . ., even though I started journaling. The first time I thought about it becoming a book was when we were coming home from hospital one day and I told my husband that we had missed summer—we didn't have a summer—and he replied that yes we did, we had a summer called Angel. My inner writer had flipped up and I thought, Hmmm that sounds like the title of a book, but at that time I didn't know what the ending would be. So my dream of becoming an author came through with my memoir, and that has now given me the inspiration to dig up my old manuscripts and revamp. WOW: That's a great story about your title. Can you tell us a bit about your path to publication? Did you look for an agent or traditional publisher or did you feel that self-publishing was the best choice for you? Sola: I went for a writers conference in 2010 at the University of Wisconsin, Madison. It was my first, and I plan to go again this year. While there, I learned so many things about the publishing industry and writing in general. Even though I "pitched" to agents and they seemed interested, I guess I felt overwhelmed by the whole traditional publishing route, and just came back, looked around, and selected self-publishing. I just felt I had written for 6 years at that point and I was ready. It would take another 2 years from that point though—to eventually revise, edit, and get the memoir published. Would I choose that route again? I'm not sure—I hope not. I hope I'm able to find a publisher for my next work. 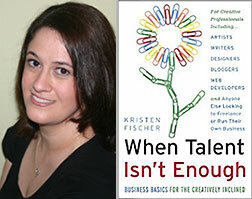 WOW: From your experience, what are the advantages (or disadvantages) of self-publishing? Sola: The advantages of self-publishing are that you're in control of your own pace, you set your time frame and commit to it; you have editorial control of what goes in your publication; and if you have a more flexible contract, you can publish almost anywhere, especially the e-book format. The disadvantages—especially if you're a novice like me—are that you sometimes don't have a clue what you're getting into. I learned the hard lesson that salesmen are all the same, and will sell to you to make a commission, so choose your packages very carefully. Almost every correction I made, I had to pay a fee, and it took 7-10 business days. You also do all your own marketing. Most book stores will not carry print on demand, so you ultimately have to get your own ISBN if you want your book in stores. Sola: A children's book for now and then back to my young adult manuscripts. I am very excited. Thank you. WOW: Thank you, Sola, for chatting with us today! I admire you for putting yourself out there with The Summer Called Angel, and I look forward to your future projects. Have you ever wondered what determination sounds like? Listen to an audio interview with Sola Olu, author of The Summer Called Angel and you'll hear it in her voice. Sola Olu, author of The Summer Called Angel, stops by today with some thoughts about premature birth. Stop by for an introduction to Sola Olu, memoirist, about her family's struggle and triumph over prematurity. Monday, January 28 @ Read These Books and Use Them! New mom Margo reviews The Summer Called Angel, a memoir about the challenges a new mom faced. Check out a review of a heartwarming memoir: The Summer Called Angel. Stop by for a visit with Sola Olu, author of the memoir The Summer Called Angel. Don't miss a review of a touching memoir of the survival of a brand new family: The Summer Called Angel. Don't miss a guest post by Sola Olu on the healing power of writing. Have you been thinking about love lately? Learn what true love is when you read the review of The Summer Called Angel by Sola Olu. Last chance to win a copy on the tour! Don't miss today's interview with Sola Olu, the author of the memoir The Summer Called Angel. Book Giveaway Contest: Enter to win a copy of The Summer Called Angel! Just fill out the Rafflecopter form below. We will announce the winner in the Rafflecopter widget this Friday, January 25. So you've had a couple weeks to firm up your 2013 writing goals. You have a handle on what you hope to accomplish, and if you’re the really industrious type, you've hit the page running. It’s all good, as my kids are fond of saying. But I've noticed that whenever my kids say, “Calm down, Mom. It’s all good,” it’s invariably not all good. They've forgotten something (something that’s usually terribly important). And so I thought I’d ask: Have you remembered your writing budget? Your writing budget is just as important as your writing goals, especially if your goals tend towards the general rather than the specific. For example, let’s say that your 2013 goal is to focus on children’s writing, and to that end, you've decided to write every day, and read more in the children’s genres you’re targeting. That’s terrific, and you will be a better writer by the end of the year. But if you have a writing budget, you can rev up your goal. With less than a hundred dollars, you can join a professional organization like SCBWI and reap the benefits of membership. With less than two hundred dollars, you can take a class in the children’s writing field you enjoy. Or you can attend a conference, and connect with other writers in your area. You can skip the expensive coffee a couple times a month and use that money to enter a few children’s writing contests. Contests are wonderful motivators, particularly later in the year when your writing get-up-and-go is threatening to get up and leave. So it doesn't take an accountant to see that a writing budget will pay dividends down the road in your writing career. But maybe you’re not a fiction writer. Maybe you’re a freelancer, or a poet, or working on your memoir, and you can’t see any benefits in joining a professional organization or attending a conference. But you still want to take your writing to the next level. Yep, you’re going to need a budget. For less than a hundred dollars, you can set up your own website and jumpstart your online presence. If you can find two hundred dollars, you can take classes on freelance writing, memoir writing, even poetry writing. You might want to join a freelance job opportunities site; these sites can range from free to forty dollars a month. You could research mentorship, wherein writers set their own fees for what will help you the most. 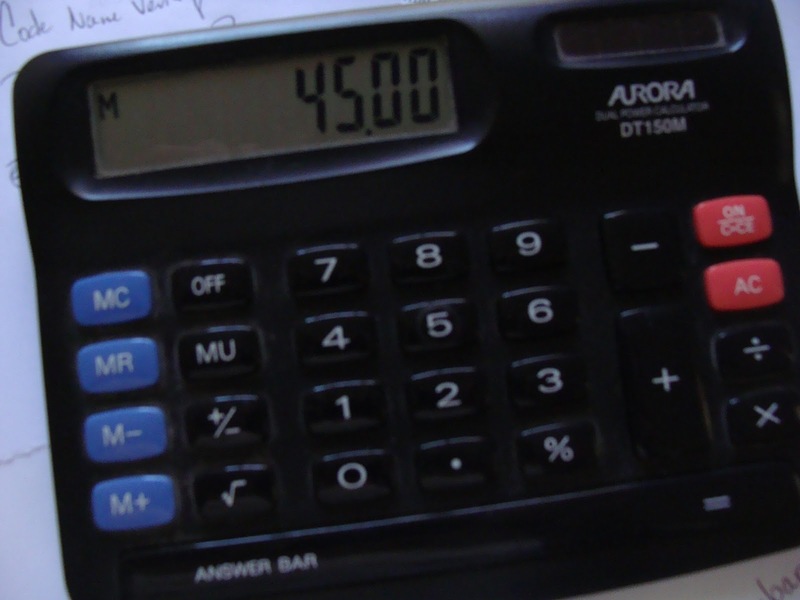 So before your 2013 resolve fades, get out the calculator and work those numbers. Figure out your writing budget and stick to it. Then you can tell me, “It’s all good, Cathy.” And I just might believe you. 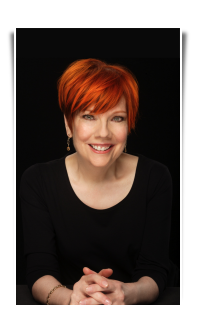 This past week, Sue Bradford Edwards wrote a great post about why writers need to be readers, too. I've been thinking a lot about this lately anyway--actually wondering if what I read ever influences how I write or what I write. What I decided that I learn the most from other authors, and the thing I need the most help with myself, is structure. I find myself marveling at how some authors seem to structure their novels just right--to build suspense, to unveil layers of a character one peel at a time, or even to keep the reader guessing who is actually responsible for some crime or bad behavior in a novel. Even memoirs have different structures: some go in chronological order, while others start with the life-changing event and then explain how or why they got there. The book I just read for my newspaper book review column, an adult historical fiction paranormal mystery (can you say that all in one breath?) is structured with a prologue! "WHAT? Someone wrote a prologue and got it published?" you say. YES! And the person is a very successful and well-revered author of both children's and adult fiction. 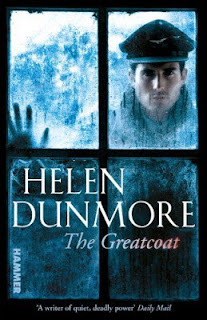 The book I am talking about is The Greatcoat and the author is Helen Dunmore. The Greatcoat is set mostly in 1952 in Great Britain and deals with the effects of World War II on the war-torn country. But the prologue and some of the "paranormal" action is set in World War II--it's a very interesting way to structure a book. In this case, I'm not sure if the prologue was needed, but I suppose Helen wanted readers to get a little insight into her paranormal figure before he started haunting our main character, who can't figure out what is going on. So back to my WIP--should I start with a prologue? Could I reveal a bit about my main character's family and the curse before I start in present time? It's something to consider from reading Helen's book, which I really enjoyed. Again, she didn't reveal the whole mystery until almost the end of the book--that's pretty common. If writers revealed everything at the beginning, then who would keep reading? So, back to the drawing board, aka the revision process, for me--thanks to two books I've recently read and really enjoyed. How about you? Has a book influenced you so much that it made you either write something new or change the way you were already writing it? What was it about the book? The structure? The characters? The point of view? Let us know! 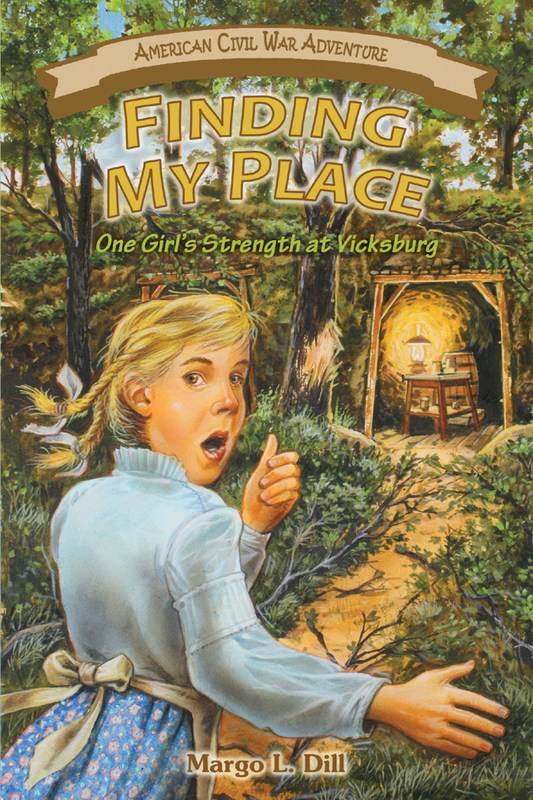 Margo Dill, author of middle-grade historical fiction novel Finding My Place, is teaching a children's and YA novel online writing workshop, starting on January 22. The class is for people beginning or in the middle of writing a novel for this age group. There will be critiques by Margo and classmates, discussions, and writing instruction. For more information, check out the WOW! classroom page.